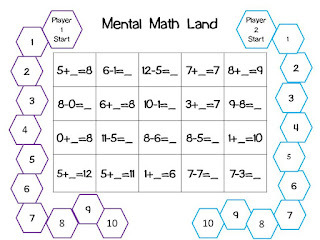 This week our kiddos are going to be working on subtraction using mental math. I created this little game for them to practice their addition and subtraction facts. I've posted it to my TpT Store as a *FREE* download!! Thanks for the freebie! My friends really need to start focusing on memorizing their facts. This will be perfect! Thanks. We start mental math next week "officially"! Thanks Kayla!!! We will get right on that!! !